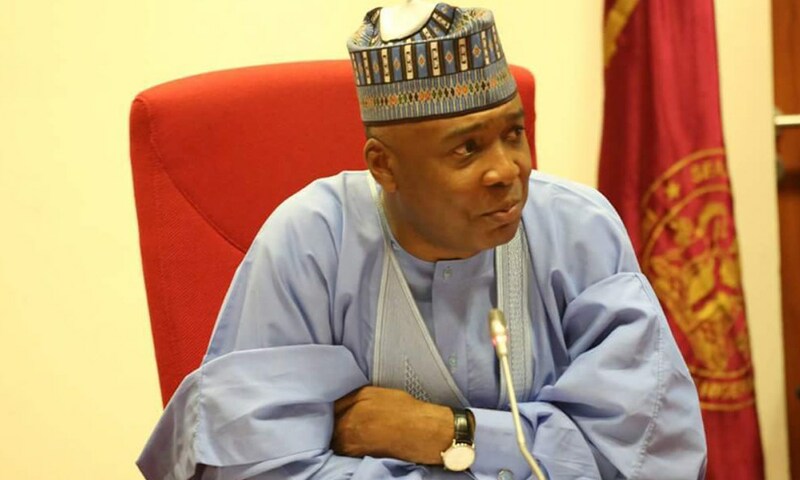 A cleric and founder of INRI Evangelical Spiritual Church, Primate Elijah Ayodele, has predicted that Senate President Bukola Saraki will win the 2019 presidential election should he clinches the ticket of the Peoples Democratic Party (PDP). He, however, warned that the 2019 election would be tougher than that of 2015. The cleric said he saw storms that period but was quick to add that the country would still survive the period. He warned that the raging National Assembly crisis might lead to the collapse of democracy in Nigeria if not well handled. Ayodele spoke on Wednesday in Ikere-Ekiti at an empowerment programme he organised in memory of his late father, Elder Olalekan Ayodele, who died 15 years ago. He donated cash and foodstuff to hundreds of widows and orphans at the event which he said was a means of giving them succour and a sense of belonging. Ayodele also advised the Ekiti State Governor-elect, Dr. Kayode Fayemi, to listen to the people for him to succeed in his administration. He advised the All Progressives Congress to put its house in order in Osun State to achieve victory at the September 22 governorship election. On the National Assembly crisis, he said: “Whatever they are doing in the Senate or in government, that is their own problem. “I have said that nobody can remove Saraki, I don’t know Saraki, I have not met Saraki and I don’t know (Godswill) Akpabio. The issue of Saraki, I am not interested because I am not a politician. “Who is that politician that is not corrupt and who is that politician that does not steal money? Saraki is one of the anointed persons in this country. I don’t see Atiku going too far.